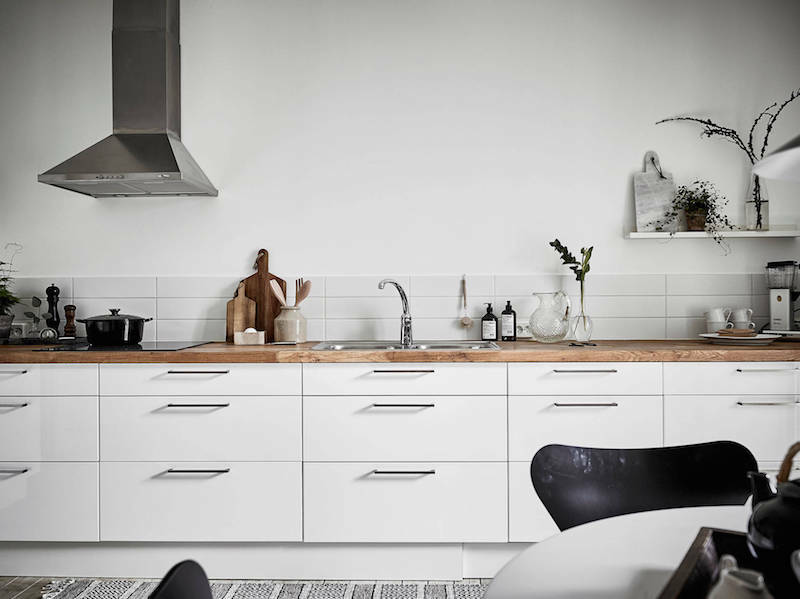 Harmonic black and white nordic style gets a warm addition from the wooden floor and table tops in the kitchen of this beautiful apartment located in Gothenburg, Sweden. 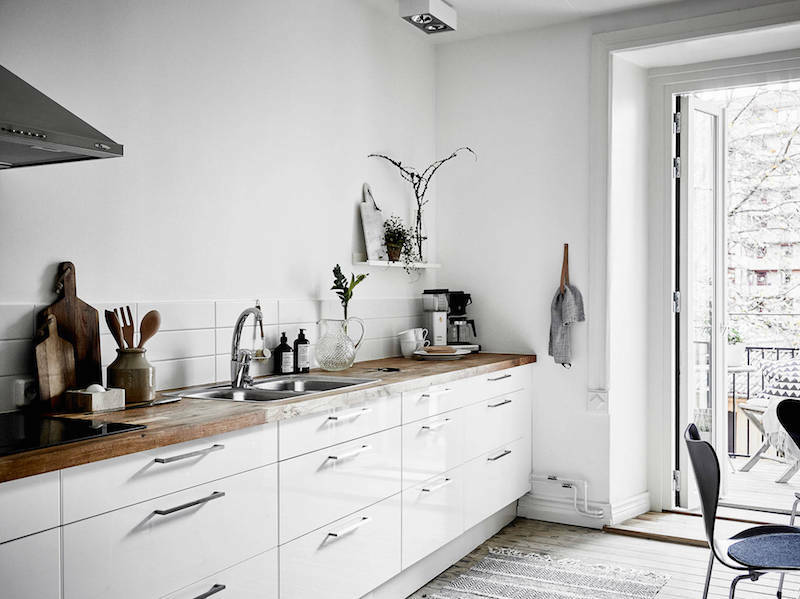 The open wall without upper cabinetry makes the kitchen feel light and spacious. 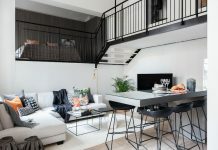 The use of open shelves is always a good option. 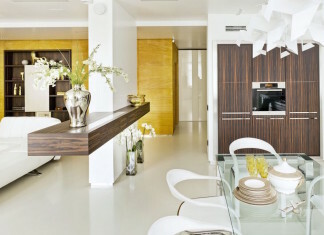 Simplicity rocks and the wooden table top gives a nice tone with other wooden elements in the decorating of the space. 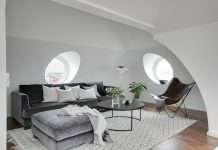 This apartment is listed at Stadshem. 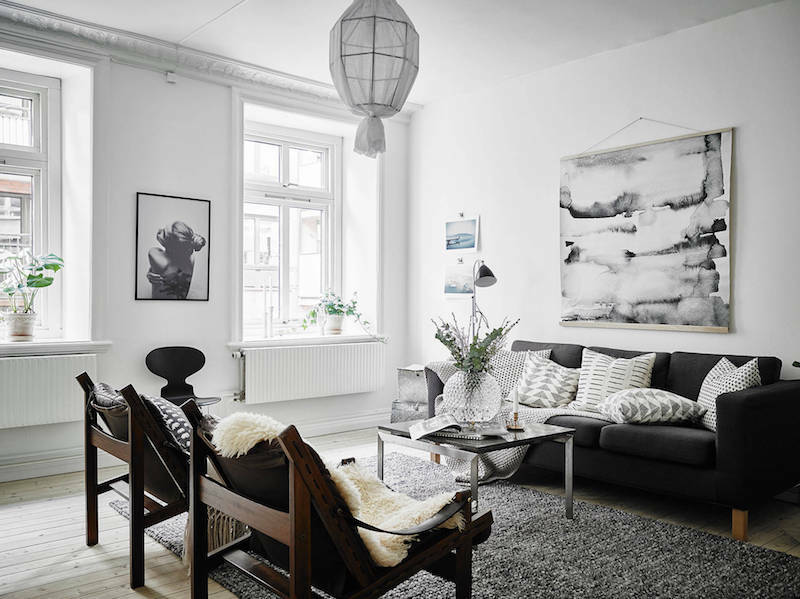 Two beautiful armchairs bring a comfortable atmosphere and the soft textiles create the perfect finish for the look. 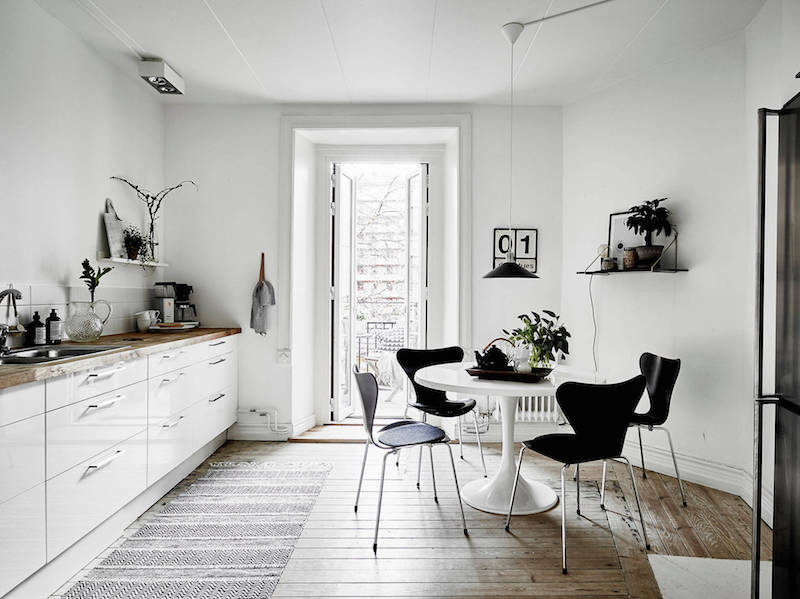 In the background the Myran chair by Fritz Hansen adds the design perspective while also being an extra seat. 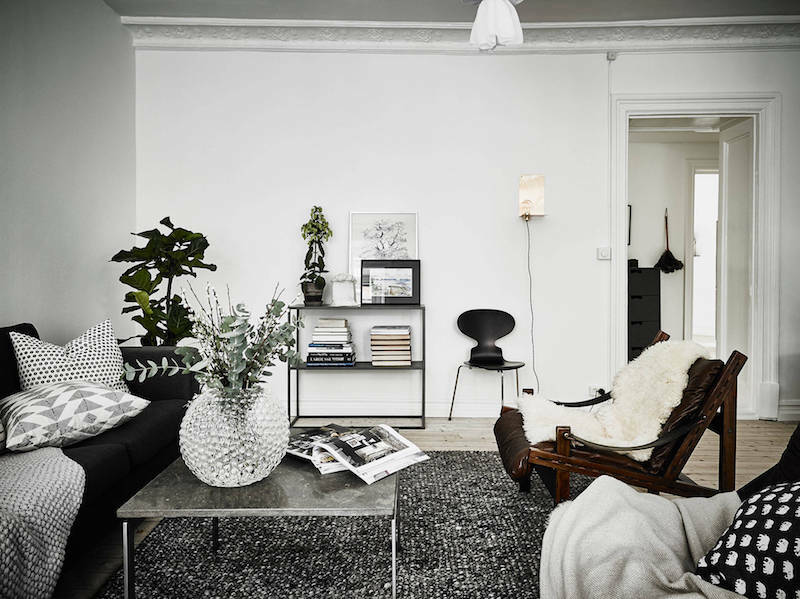 Light white canvas pendant and the graphical black and white wall print emphasize the minimalist style of decorating in the space. Wall mounted night tables, integrated with bulb lights are perfect space savers. 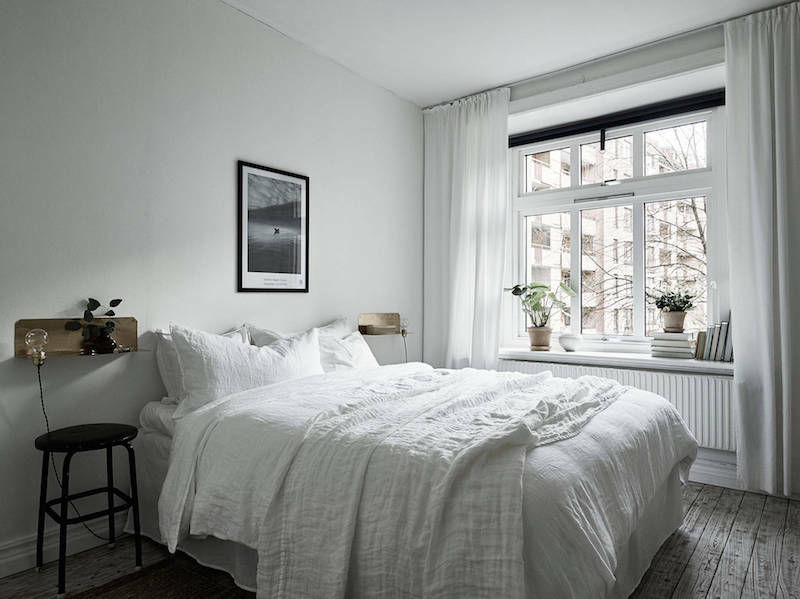 Soft white textiles give nice texture and pattern for the white layout of the room.